Ready to be placed on the tabletop! 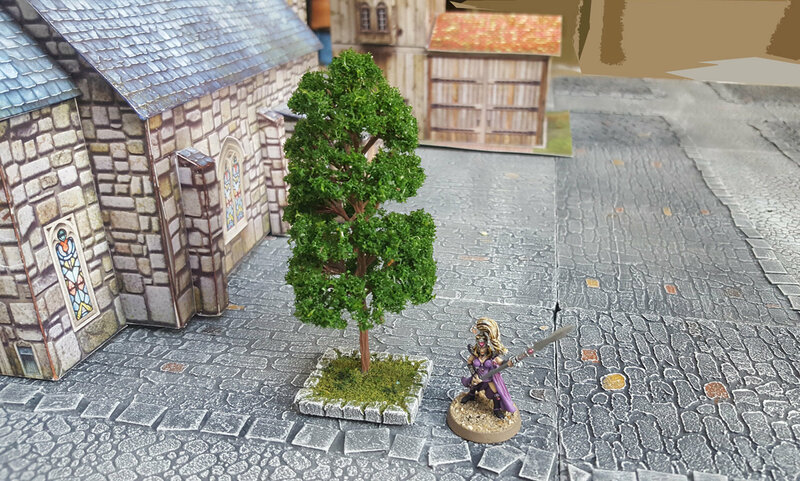 Based on High Quality Resin with magnetic bottom, and beautifully painted & flocked, this set includes two (2) trees with bases suitable for Urban environs. The Trees enhance your Outdoors or Urban Tiles; or can used with gaming surfaces you already own. The trees are aprox. 9-14cm high (depending on the scale you choose), including the base. The base is made from resin, includes strong magnet, and comes prepainted and flocked.